Easily Move Your Plates As A Batch. Organize, batch , transport and incubate, all with one rack! Each rack holds up to 48 plates making it easy to move stacks in and out of the incubator, around in the hood, or from one room to another. Moves can be made even easier with a rack caddy which allows you to transport 2 racks at a time. 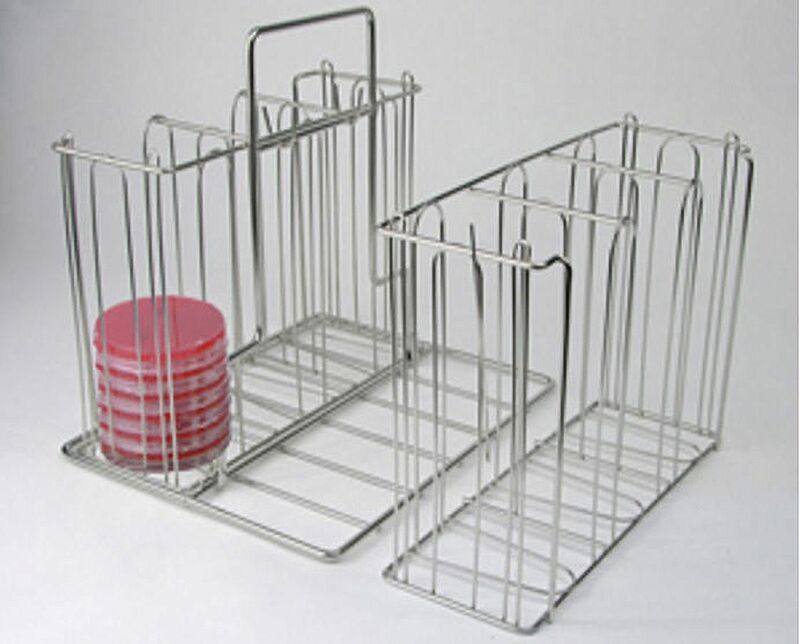 The racks and the rack caddy are easily cleaned and fully autoclavable.